Modern mechanical watches are still operating on the so-called ‘balance and hairspring’ principle, a time keeping device that was invented by Dutch scientist Christiaan Huygens in 1675. The LVMH Watch Division and its R&D Science Institute, Delft University of Technology and TU Delft spin-off Flexous joined forces to develop a completely new regulator technology. The technique is now brought to the market with the ZENITH Defy Lab watch. “This is the first time since 1675, when Dutch scientist Christian Huygens invented the pendulum clock, that there is a new technology in regulators. The new regulator has no hairspring, no balance wheel and doesn’t need oil, because it has no friction. Accurate to one second in 24 hours, it generates the most accurate mechanical watch ever”, says Guy Sémon, CEO of the R&D Science Institute of the LVMH group. A regulator traditionally has numerous parts and is composed of multiple layers. 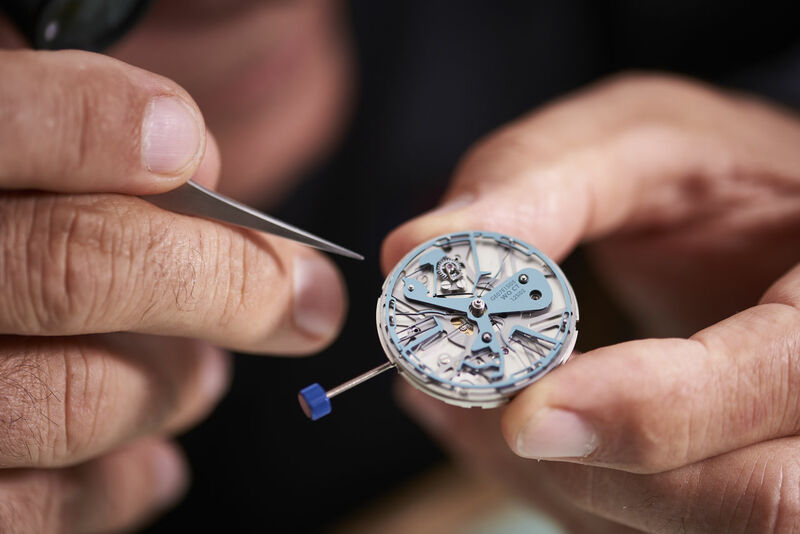 TU Delft and its spin-off Flexous, in a close collaboration with the R&D Institute of the LVMH Watch Division, developed a ‘monolithic’ regulator, made in a single layer and out of one piece, so it doesn’t need assembly. The regulator is made of silicon-based materials and operates at a high frequency (15 Hz). Since it is one piece, there is no friction which extends the power reserve to at least 60 hours. The regulator maintains a very accurate frequency, all the way from when it is fully wound to when the power reserve is almost empty. “What makes this project particularly innovative, is the collaborating consortium of partners”, says Tolou, co-founder of Flexous. R&D from LVMH Watch Division plays a key role by sharing their know-how and facilities on mechanical watch design. The TU Delft provides the knowledge with a leading group in fundamental research in compliant mechanisms and Flexous is the ambitious start-up that took off from the research, focusing on engineering of flexure based mechanisms. Not only the use of compliant mechanisms in the most intricate part of a mechanical watch was explored, but the whole system was considered, where all functions were redefined at a high abstract level to find new possibilities. Traditionally, the escapement mechanism consists of a regulator, a distributor, an escapement wheel and many other tiny parts such as axes and stones. All of this is now combined in one part, which does the delicate task of time keeping. Last week, the new watch, called Zenith Defy Lab, made its debut in a limited edition of 10 unique pieces. All pre-sold. The new watch was launched at a press conference on 14 September at Manufacture Zenith in Le Locle, Switzerland. The conference – with the presence of over 220 international key media - was hosted by Jean-Claude Biver, President of the LVMH Watch Division, Zenith CEO Julien Tornare and Guy Sémon, CEO R&D Science Institute LVMH. TU Delft Professor Just Herder, promotor of the PhD students in the project, was a keynote speaker at the conference.